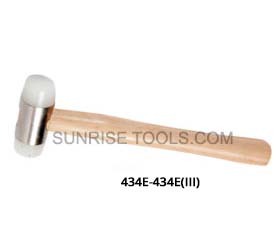 Description :-This quality constructed Hammer is ideal for hammering ferrous or non-ferrous metals and also excellent for stamping and dapping. 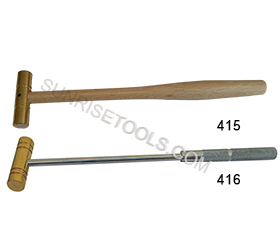 Brass hammers are available with Wood Handle or Steel Handle. 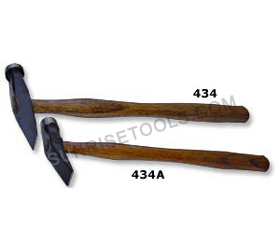 Description :-This Cross Pein Hammer is designed for heavy duty use and used to strike, shape, and bend unhardened metal. Also used to shape block, brick, and stone. 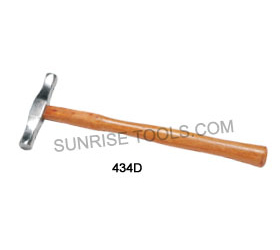 Description :-This Hammer's head is constructed from high quality steel with polished face and pein. 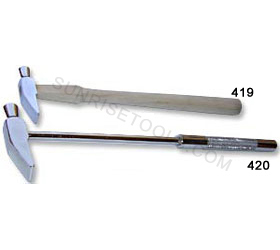 Ideal for strike chisels and punches or riveting, shaping and bending metal. 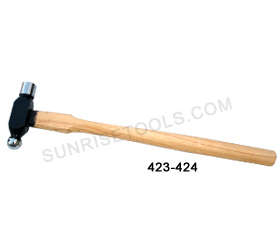 Description :-This hammer is forged from high quality steel, hardened and tempered to precise standards. 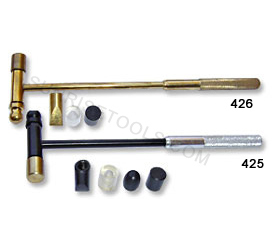 Ideal for striking chisels and punches, riveting, shaping, and straightening unhardened metal. 423 Hammer ball pein type 1 oz. 424 Hammer ball pein type 2 oz. 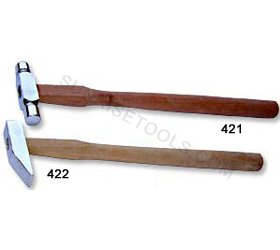 Description :- Plastic hammer can be used for applications with precious metals where marring and scratching is a concern. The plastic hammer also reduces shock on impact when in use. 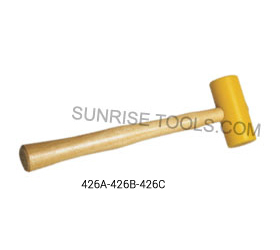 426A Yellow Super Plastic Mallet 1 1/2". 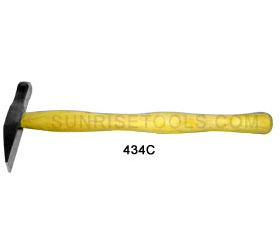 426B Yellow super plastic mallet 2"
426C Yellow super plastic mallet 2.1/2"
Description :-This Soft faced hammer is suitable for craftsmen, assemblers, instruments and model makers. Nylon head resists breaking, won't mar metal. 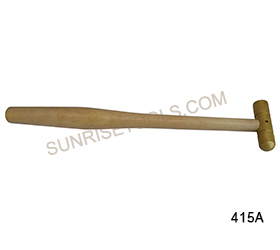 This hammer has seasoned wood handle that is strong and reliable. 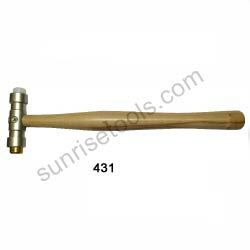 Description :- This ball pein hammer is ideal for use in confined areas or texturing metal. A handy tool for various tasks around the shop, garage and home. 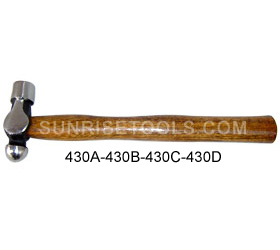 430A Hammer ball pein 4 oz. 430B Hammer ball pein 8 oz. 430C Hammer ball Pein 12 oz. 430D Hammer Ball Pein 16 oz. 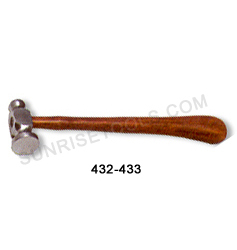 Description :-This is mallet style handle with interchangeable faces and shellacked hardwood handle. This hammer is used for hammering delicate pieces without damage, for shaping malleable metals including silver, copper, gold and brass. 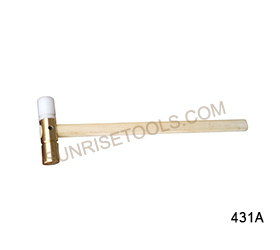 Replacement faces available to allow any combination of brass, nylon or fiber. Description :- This chasing hammer has a large flat face and is perfect for hardening wire, texturing metal, jewelry making and metal smithing. A very comfortable and easy to use hammer. Forge-tempered and polished steel head. 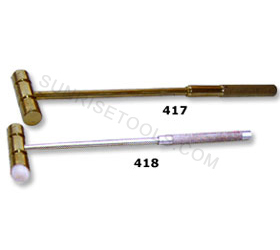 432 Hammer chasing with handle 1"
433 Hammer chasing with handle 1.1/8"
Description :-This gold smith all-purpose hammer specially designed for jewelry work. It features a round flat end for general purpose use and a cross pein end perfect for spreading rivet heads, forming and shaping. 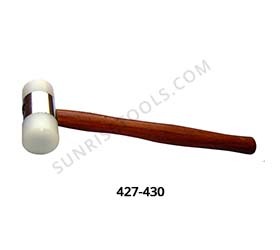 Highly polished goldsmith's hammer is mounted on a hardwood handle. 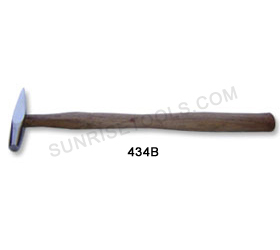 Description :- Goldsmith Hammer 10"